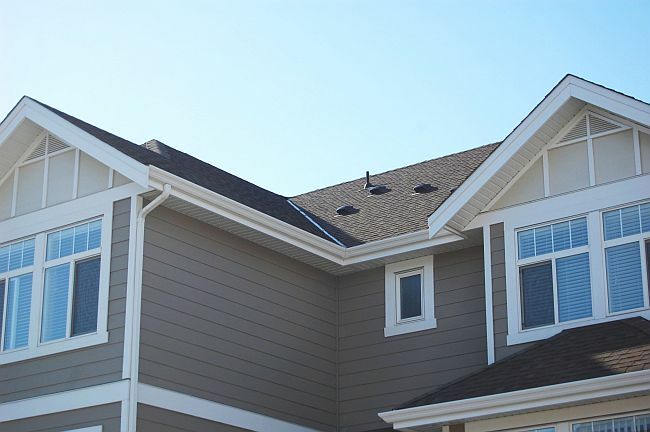 Roof Inspections by Kelowna Home Inspectors at Building Pro Inspections. Licensed & insured to deliver quality inspections and professional reports. The cedar shingles on this roof have reached the end of their service life. 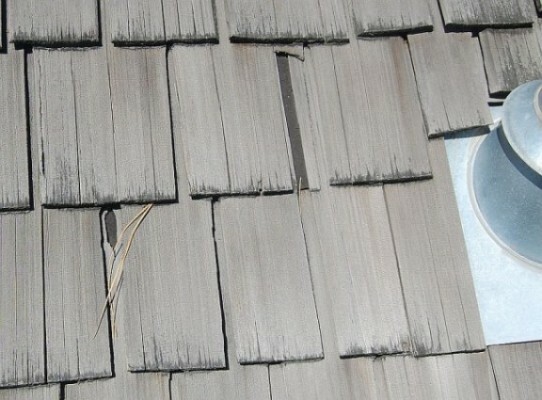 The considerable splitting of the shingles, over the entire roof, has resulted in pieces falling away and exposing the felt underlay. This underlay will not survive the coming winter. I recommended contacting a roofing contractor to replace the roof immediately, to protect the interior from water leaks.